If you ask me how I should describe my experience, I say "It's PERFECT!!!". 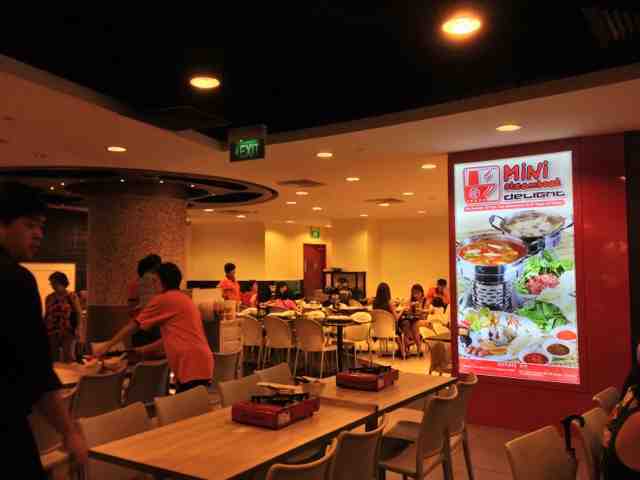 Previously located at Parkway Parade basement food court, the steamboat restaurant - Mini Steamboat Delight had relocated twice. Firstly, the restaurant moved to the 4th floor at Banquet Food Court, Parkway Parade. Recently, they moved to Gourmet Paradise Restaurant at HDB Hub. When I stumbled upon the restaurant approximately ten years ago, I was addicted to their tom yam steamboat and chilli sauce. The tom yam broth was spicy and sour. I could not describe how delicious the broth was but it was absolutely addictive. 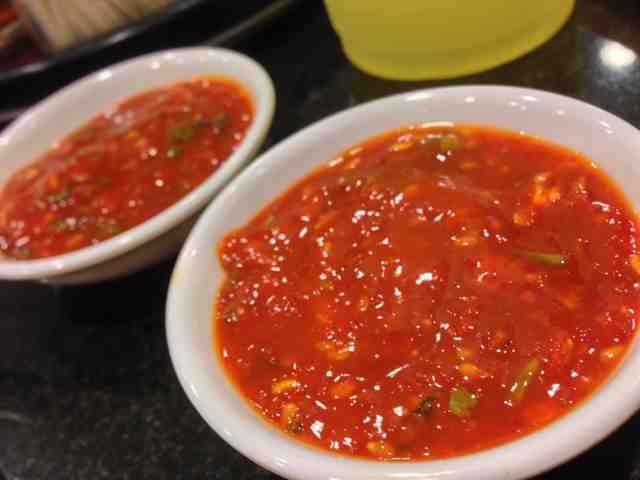 The chilli sauce was made from sesame seeds, chinese parsley, and other ingredients. It was another delight to eat with the cooked food. We waited for approximately four months before the restaurant was opened at the HDB Hub. While dining in, a couple of regular diners told the staff that they finally found the restaurant after two relocation exercises. Most of the time, we ordered meats, bean curd rolls, fish dumplings, fish maw, fortune fish balls, fish glue, fragrant rice (aka chicken rice) and udon. Though it may be too much for two, it was a very delicious and perfect dinner experience. We spent a total of $63.00. So, don't wait. 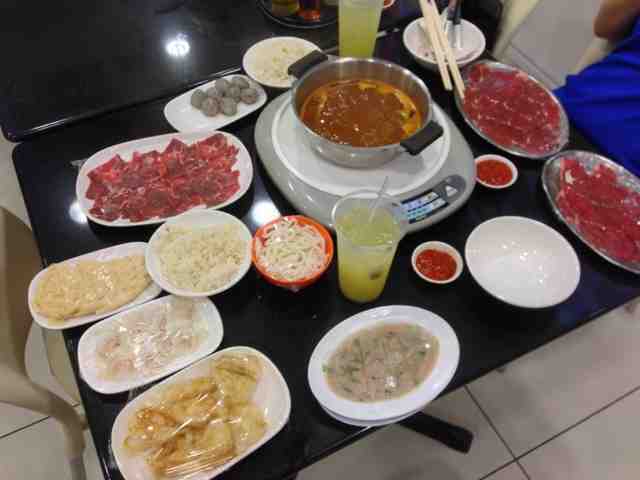 Why not drop by the restaurant, try the delicious steamboat and drop me a note or two on your experience? Our spread - beef and mutton, udon noodles, fish glue, bean curd rolls, fortune fish balls, fish dumplings in tom yam broth. It is a must to dip the meat in the shabu shabu way and then dip it with the chilli sauce. You will be blown away by the tender meat and delicious chilli sauce. Apart from the fragrant rice, I had tried and tested eating it with udon noodles. The udon noodles remained chewy even though some of them were hidden at the bottom of the hot pot. 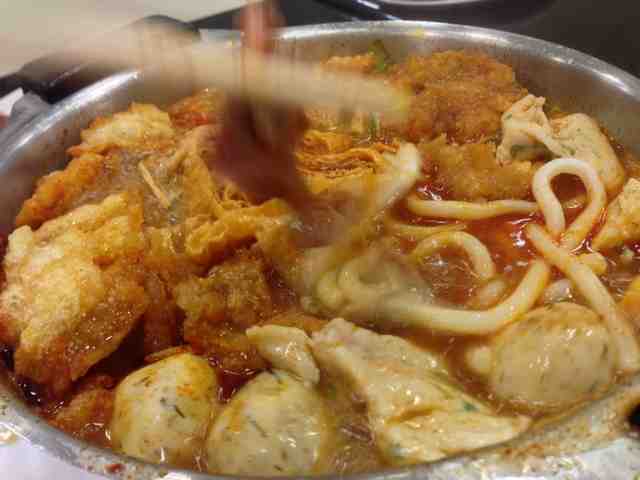 I began loving eating udon soaked with tom yam soup. The fortune fish balls were special fish balls. It did not look like typical factory-made fish balls. The fish meat was freshly prepared. Scoop out the fish balls when it was floating in the pot. Try eating the fish balls by itself. You can taste the freshness. Then dip it with the chilli sauce. You will be on cloud nine. Other foods like fish glue, bean curd rolls and fish dumplings, gave the same palatable and ecstatic feelings like the above descriptions and evaluations. The all-time favourite, Chilli Sauce. You can buy the tom yam paste and chilli sauce and have steamboat right at home. Been looking for it since it closed at Parkway. You are most welcome. I am glad that I could be of help. Hi, the correct road name is Lorong 6 Toa Payoh, and not Lorong 8. Thanks sZe for pointing it out. It is indeed Lorong 6 Toa Payoh.